Quotables: STIGLITZ: Say “auf wiedersehen” to your Nazi balls. By far my favourite Tarantino film. Christoph Waltz definitely deserved his Oscar, but the rest of the cast is also really excellent. In particular, I loved Diane Krüger, Mélanie Laurent, and (of course) my husband, Michael Fassbender. I love the sense of simultaneous intimacy and tension that Tarantino creates with his scenes. You’re holding your breath, waiting for something crazy to happen the entire time, when BAM! everything gets out of control. 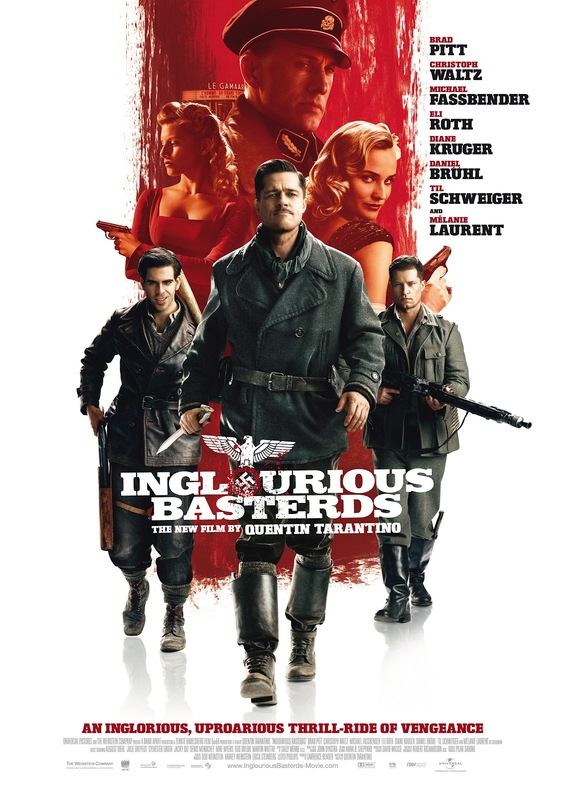 And who doesn’t love a movie about killing Nazis, especially when one of them is Hitler getting shot to pieces? Great fun, with such a brilliant script, and beautiful cinematography and visual effects.